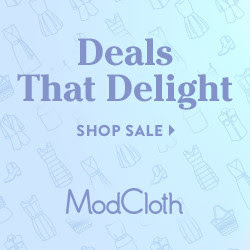 While supplies last – Modcloth has a sweet deal where if you purchase $150 you’ll get a $50 grab bag free. Check out their new swimwear and cover ups they have sizes that are fun and flattering for all body types! You may just find something you like!